Happy holidays from Team Antioch! In the original script for Thoughts in Chaos, we split Sins of our Fathers into two maps. During development, the first map went through several fully-playable iterations, but none of them made a compelling case for the space they would take in the campaign. Instead, we cut the first map, instead going directly to the boss fight against Sevorak. This file is the map we cut. 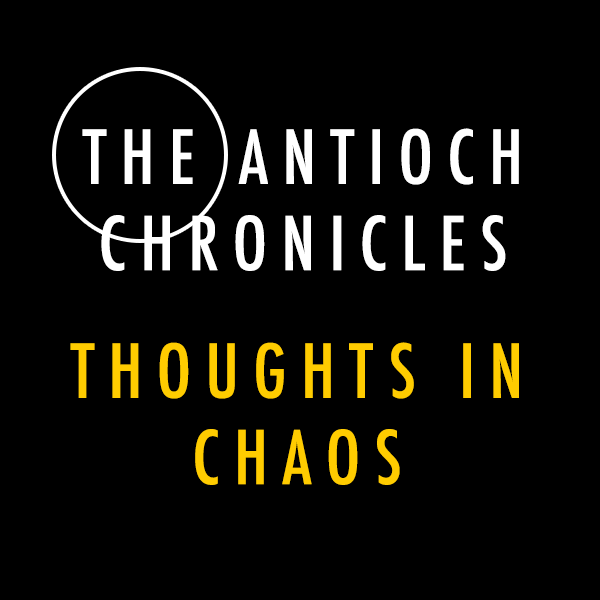 To play it, make sure you've downloaded the most recent Thoughts in Chaos Mod. Then open the map file in the editor and press "Test Document." We hope you enjoy this bit of archival material, and we're very much looking forward to what 2019 has in store for The Antioch Chronicles. The game no longer hallucinates the death of a hero when the hallucination of a hero dies. Laurioch has practiced his blocking and will now correctly cast The Ability that is Definitely Not Disruption Web during the ending cutscene.